Buying a stroller can get pretty overwhelming, I mean there are just so many different options! You want to make sure you make the right choice, the first time. After all, they are a big ticket item. So we've gone ahead and broken down the info for you, all in one place, along with a few tips and suggestions to help streamline the decision making process. Take a look! I remember shopping for our first stroller and talking with a couple who were out buying their sixth. You read that right. They were on stroller number 6! And while it is likely you will buy more than one stroller over the years, you want to make sure the first one covers as many of your bases as possible (and keeps the number of strollers you do buy to a minimum!). 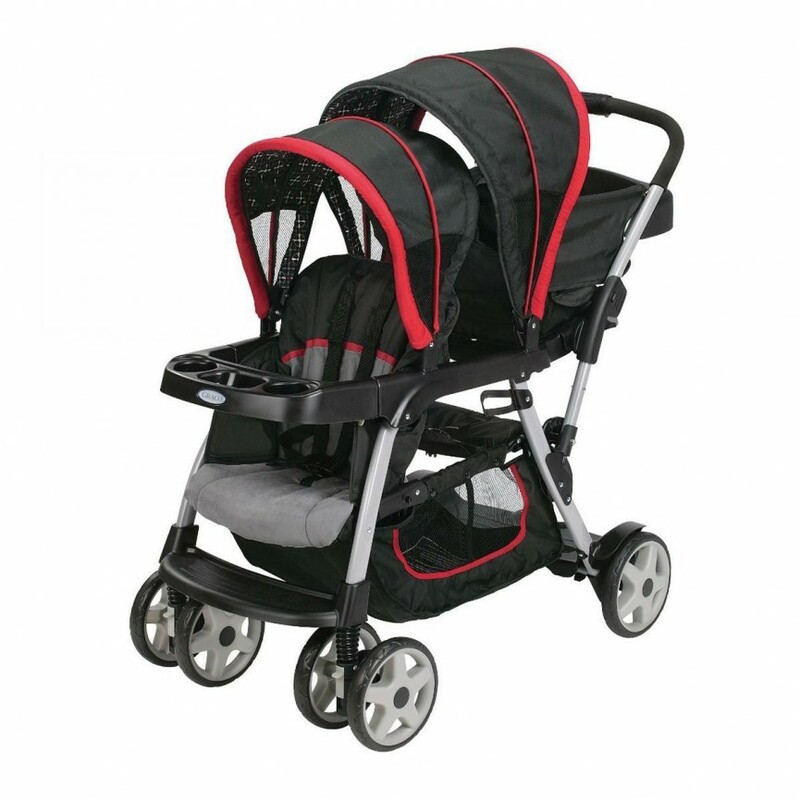 Standard strollers are the typical heavy duty strollers that you see. And most of them offer several different configurations, as well as different seating options. For example, one frame but you can attach a bassinet, the car seat or use a regular stroller seat. You can also choose between versions that offer single, double or even triple seating. 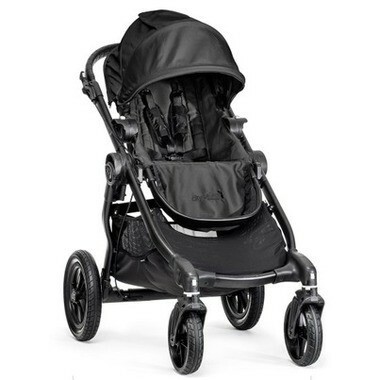 While the name says jogger, the City Select Baby Jogger is actually not a jogging stroller. 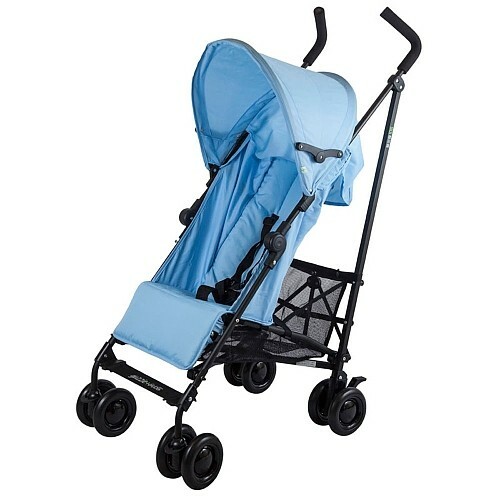 However, it is the one I own and is probably the stroller I see most often when out and about. It is hugely popular because it will grow with your family and can be used as a pram, as a frame to attach a car seat or as a regular stroller. It is easily convertible to a double, and can be configured over 16 different ways. The Graco Ready2Grow Double Seated Click Connect Baby Infant Tandem Stroller offers 12 riding options for up to 2 children from infant to youth. The rear seat is removable for more interaction with baby or to access the bench seat and standing platform for an older child. 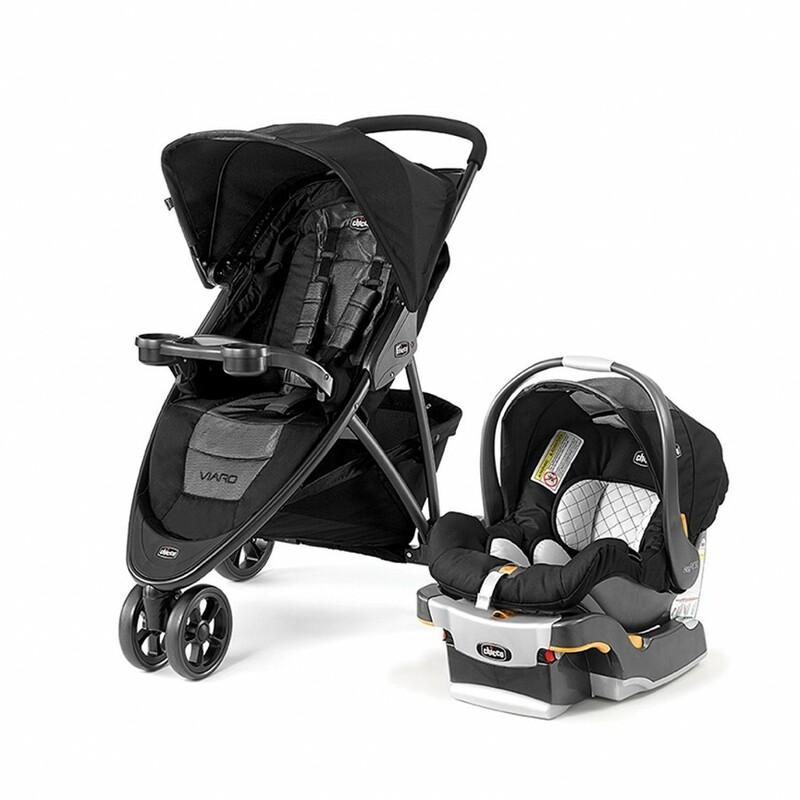 If you plan to just have one child in a stroller at a time, the Chicco Viaro Travel System offers great value. 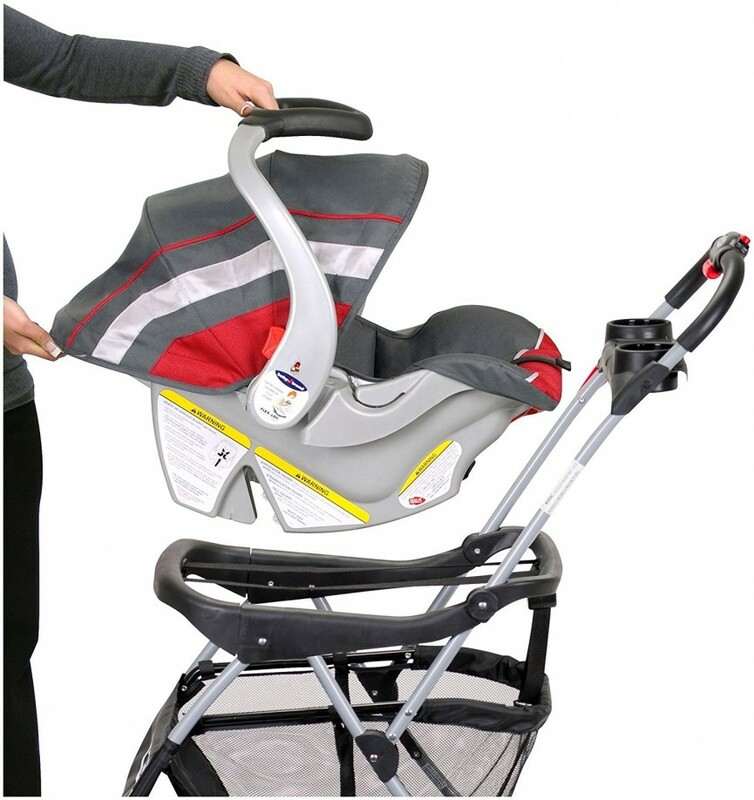 Not only does this one come with the stroller, you get the KeyFit 30 infant car seat, which attaches to the stroller. The Viaro is a three-wheel design, single stroller. It includes a detachable child's tray with two cup holders, front-wheel suspension, an adjustable canopy and a multi-position reclining seat. Frame strollers are lightweight, relatively inexpensive and convenient if you're looking to transport baby in their car seat. The downside is, they only last while baby is in their infant carrier. You may want to consider one of these if you travel a lot, or if you're looking to bypass the standard stroller and simply get a jogging or umbrella stroller down the road. The only thing is, if you have more than one child in a stroller, you may wind up buying a standard stroller in the long run anyway. A convenient alternative to conventional strollers, the Snap N Go fits most infant car seats including the new 35 lb models. It folds easily for storage or travel with the press of a button, and has a large storage basket underneath. It also comes with two cup holders and a covered storage compartment that is perfect for keys. The Snap N Go is our favourite frame stroller because it's the easiest to find, simple to use, and accommodates most infant car seats - no matter the brand. 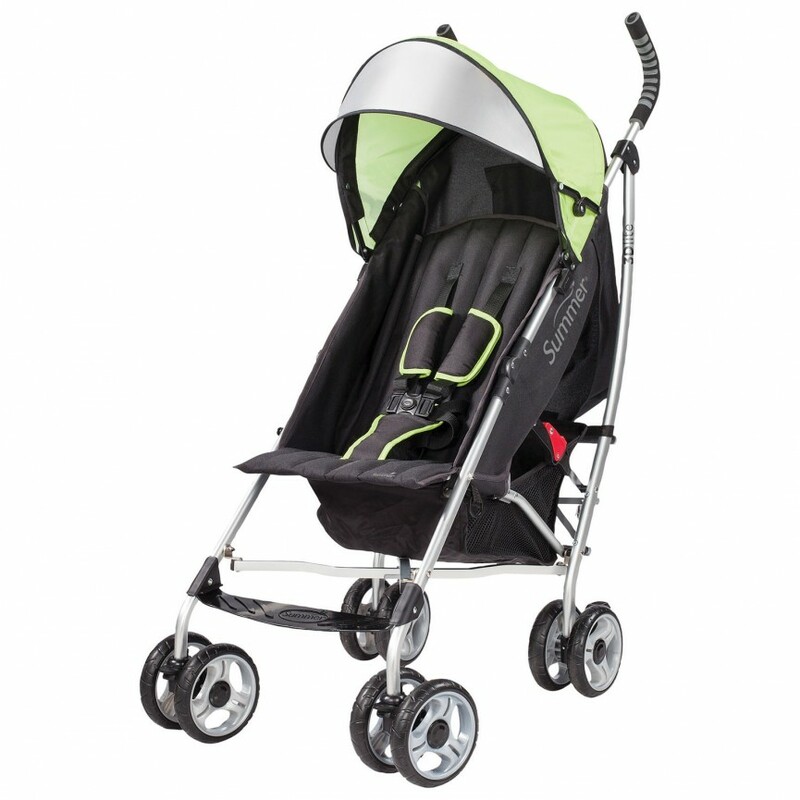 These strollers are light, smooth and great for active parents. If you plan on running or hiking with your little one(s), a jogging stroller is a must. This is because they have a few extra safety features, such as a fixed front wheel to keep the stroller from tipping or changing direction after hitting a bump. They also include hand brakes to quickly and easily slow down the stroller, as well as a suspension system to keep the ride smooth and comfortable for baby. If you're looking to run on unpaved trails, over grass or any other uneven surface, you'll want to look for a stroller with larger wheels. If you will be running on a smooth, flat surface, smaller wheels will suit just fine. 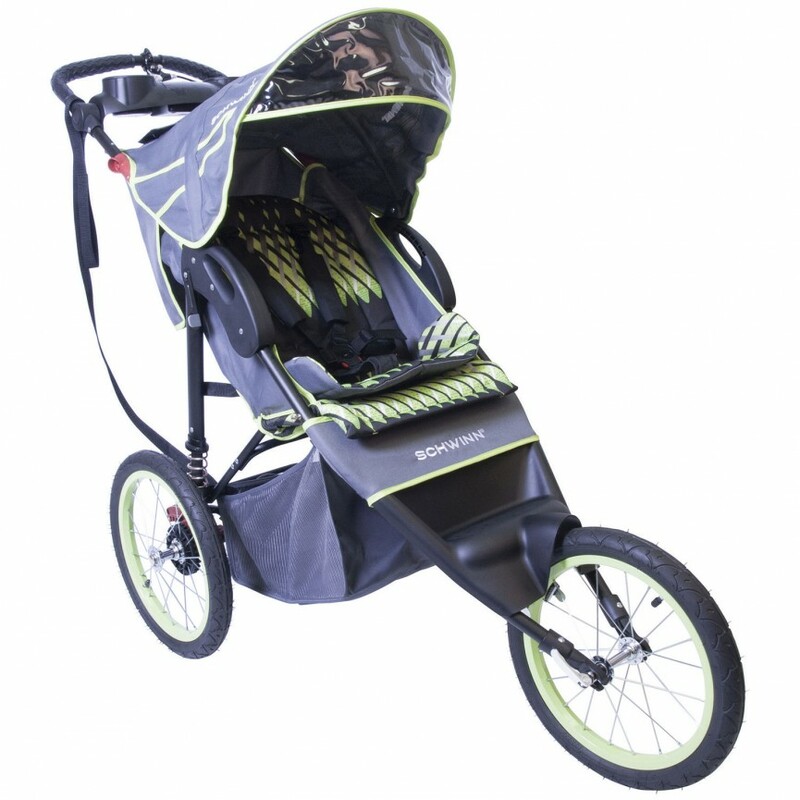 The Schwinn Arrow Single Jogger has 16" pneumatic tires with aluminum rims, shock absorbers and a built-in canopy speaker to make the ride as smooth and enjoyable as possible for runner and rider. It features a bicycle-style hand brake, and comes with a parent tray with two cup holders. 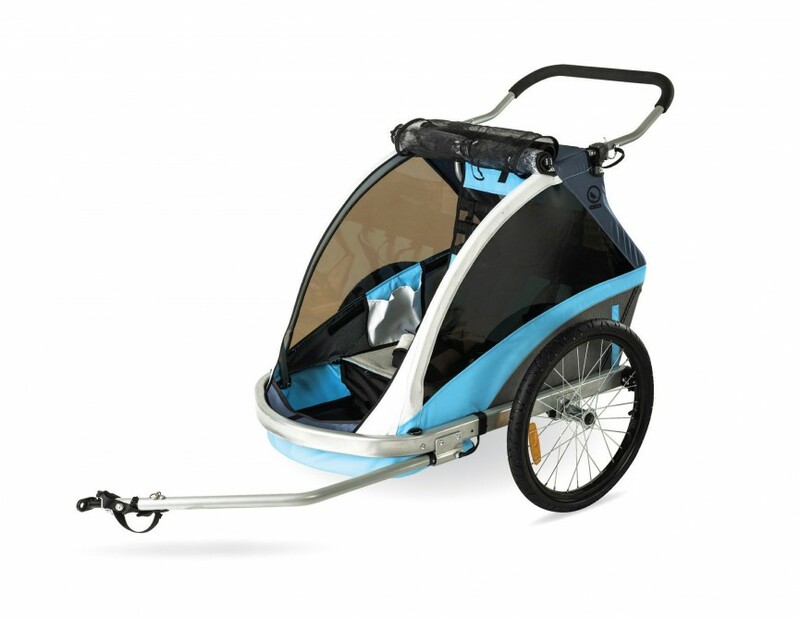 This Everyday Deluxe Bike Trailer holds one or two children and seamlessly converts from trailer to stroller with its fixed wheel jogger conversion kit. It features 20" wheels and tinted UV protective windows, as well as safety reflectors and parking brakes. If you're looking for a lightweight, compact, and relatively inexpensive stroller, this is where you want to be. Umbrella strollers are used for older babies and toddlers because they don't offer much head support and often don't fully recline. 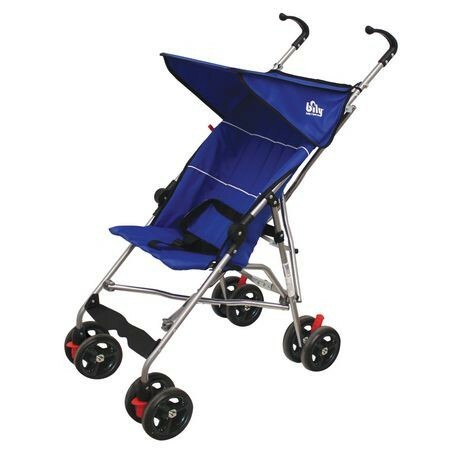 These strollers are great for travelling or as a backup. We typically bring ours anywhere we know it might be left unattended in a busy area, such as a theme park or sporting event. Available in black, blue or red, the Bily Deluxe Umbrella Stroller comes with a swing-away canopy, footrest, locking front swivel wheels and independent rear brakes. You will love the lightweight frame and the easy, compact fold for storage in tight spaces. The Go Lite Convenience Stroller features a wide seat base and offers a multi-position recline, so your little one is comfy enough to snooze on the go. The canopy is fully adjustable and removable, and the large storage basket offers a convenient place for your on-the-go essentials. This guzzie+Gus Sandpiper Stroller has an adjustable footrest and an easy recline to keep your little one comfortable while on the go. It comes with a full canopy, storage basket and folds up nice and tight for storage. Will the stroller fit your current and future needs? What features and accessories are important to you? Will the car seat you want work with this stroller? Is there an adapter? How big of a storage basket do you want? Is it easy to access? How easy is it to reconfigure the stroller? Is the stroller easy to fold? Will it fit wherever you plan to store it in your home? How easy is it to get replacement parts? Do you have anything else to add? We'd love to hear your suggestions on finding the right stroller! Let us know in the comments below.